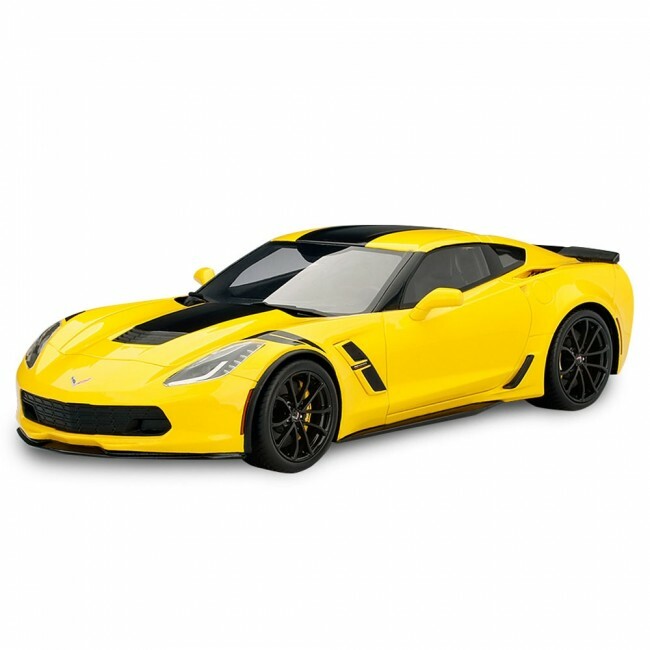 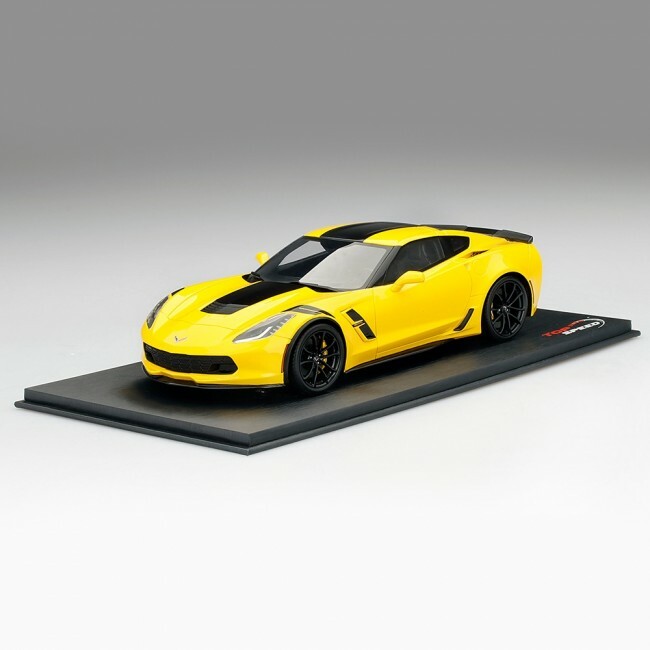 Sleek and race ready, this 1:18 scale C7 Corvette Grand Sport die cast in Corvette Racing Yellow is a great addition to your collection. 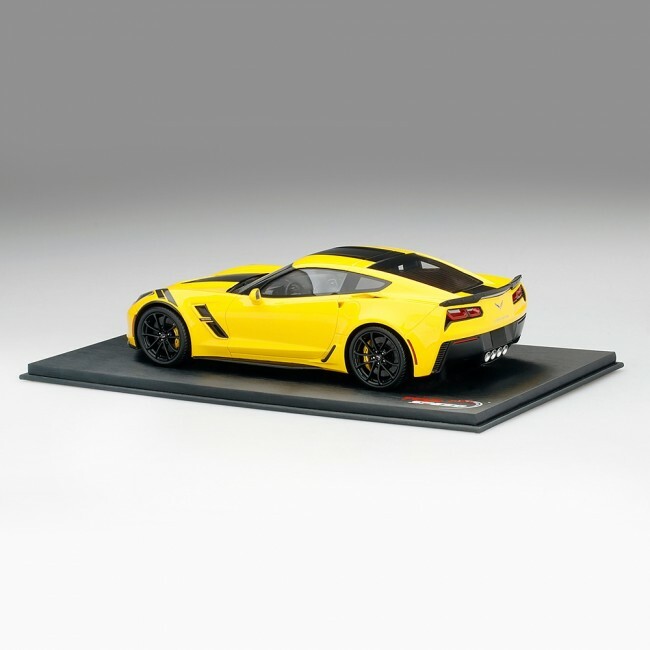 This die cast features a high-gloss paint job, detailed interior, and is mounted on a satin black base for display that measures 12.25"L x 6.5"W. Die cast measures 10"L.
Due to size and packaging, $24.95 Flat Rate Shipping will be added at checkout. This item is not eligible for Free Shipping on orders over $195.00.